The Fifty Best held a “blind” tasting of 13 recent release California Sauvignon Blancs with 10 members of our wine judging panel. Strict tasting rules were applied. The order of service was established beforehand by lottery. Each of the wines were poured into fresh wine glasses from new sealed bottles and served chilled. Only ice water and white peasant bread were available to cleanse the palate. The judges wrote down their impressions of each wine on score sheets. The scoring was done on a 5-point system, with 5 as the best. Double-Gold, Gold and Silver medals are awarded based on a set range of final point scores received from the judges. There were no bronze medals awarded for this tasting. The tasting notes that follow are summaries of the judges’ opinions, with all replicated commentary eliminated. The appelations are identified for each brand. Prices indicated do not include tax. This wine was fashioned from 100% certified organic Sauvignon Blanc grapes sourced from the lower elevation of Ink Grade Vineyard, known for cold mornings and warm afternoons. Aroma: Grapefruit, lemon, tangerine, honeydew, pineapple, guava, peach, pear, stone fruit, citrus, elderflower, jalapeño, minerality. Palate: Big peach, white peach, nectarine, green apple, grapefruit, lemon, citrus, lime peel, grassy, crisp, zesty, classic tartness. Finish: Peach, lime, citrus, citrus pith, floral, mineral, crisp, delicious. Following harvest, grapes (100% Sauvignon Blanc) for this wine were “whole cluster pressed” with a portion of the juice fermented in neutral French oak barrels and the majority in stainless steel tanks. Aroma: Ripe peach, white peach, passion fruit, mango, guava, melon, lemon, citrus, candied citrus, honeysuckle, white flowers, beautiful. Palate: Melon, honeydew, kiwi, yellow peach, pineapple, lemon, citrus, white flowers, floral, nutmeg, really yummy, delicious. Finish: White peach, honeydew melon, fruity, floral, soft, smooth, tasty. This 100% Sauvignon Blanc wine was made from 70% Clone 1 and 30% Musque Clone grapes. Aroma: Ripe honeydew, lime, pineapple, tropical fruit, herbal, floral, lemongrass, celery, jalapeño, clean, crisp. Palate: White peach, pineapple, melon, white grapefruit, squeeze of lemon, lime, citrus, balance of citrus and herbal, herbalicious, elderflower, grassy, super fresh, an all-day wine. Finish: White grapefruit, green bell pepper, mint, crisp, well balanced, layered, complex. Following harvest, 100% Sauvignon Blanc grapes were fermented in French oak (97%) or French Acacia (3%) barrels, then aged on its lees (wasted yeast) for 9 months before bottling. Aroma: Ripe peach, ripe cantaloupe, melon, light lemon, white flowers, hoenysuckle, floral, grassy, mossy, minerality. Palate: Pink grapefruit, white grapefruit, tangerine, melon, peach, Granny Smith apple, green pepper, oak. Finish: Pear, grapefruit pith, a touch grassy, minerality, crisp, yummy. Certified “sustainable” grapes for this wine hailed from Monterey (70%) and Paso Robles (30%), with fermentation conducted in stainless steel tanks at cold temperatures. Aroma: Melon, honeydew, peach, apricot, pineapple, lemon peel, lemon zest, celery, lemongrass, elderflower. Palate: Green apple, lemon, lime, kiwi, watermelon, pear, peach, guava, mango, white flower, soft. Finish: Bartlett pear, white peach, lemon twist, lime note, balanced, delicate, bright. Grapes for this 100% Sauvignon Blanc wine underwent barrel fermentation, with aging on its lees (wasted yeast) in French oak (46%) and stainless steel (54%) for over 6 months before bottling. Aroma: Grapefruit, pink grapefruit, honeydew, white peach, lemon, grass, basil, herbal, earthy, oak undertones, mineral, bright. Palate: Honeydew melon, tangerine , pineapple. Lemon zest, elderflower, creamy, buttery, earthy notes, mineral, light oak. Finish: Citrus, dried grass, earthy, zesty, smooth, delicious. 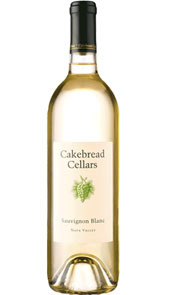 The majority of grapes used to make this wine were from the winery’s estate Walnut Wash Vineyard in Calistoga. Following harvest, the clusters were de-stemmed and gently pressed, with fermentation in stainless steel barrels and aging on frequestly stirred lees (wasted yeast). Aroma: Grapefruit, lemon, citrus, green apple, pear, kiwi, peach, apricot, floral, grassy, chalk, minerality. Palate: Apricot, pineapple, mango, pear, lemon, lime, lemon zest, floral, tart, minerality, complex, sparkle. Finish: Green apple, mango, lemon, lime, light minerality, clean, crisp, bright. This wine was made from a blend of 97% Sauvignon Blanc and 3% Semillon. Aroma: White grapefruit, lime, stone fruit, pineapple, white flowers, light floral, grassy, minerality, fresh, delicate. Palate: White peach, guava, bright lime, citrus, light pear, lemon curd, delicate. 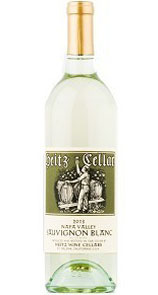 Finish: Key lime, lime zest, citrus, light pear, perfectly balanced, clean, delicate, elegant. Grapes were sourced for this wine from vineyards in Monterey County, the Russian River and Clarksburg areas. Following harvest, the grapes were fermented in stainless steel at cool temperatures. Aroma: Peach, white peach, pineapple, apricot, light grapefruit, white flowers, green pepper, grassy. Palate: White peach, yellow peach, mango, guava, pineapple, grapefruit, lime peel, white flowers, green grass, mineral. Finish: Pear, peach, lime zest, smooth. This wine was made from certified organic grapes grown on the 37-year old Gibson Vineyard (that sits on the Talmage Bench, just east of Ukiah) and from the McFadden Vineyard (on the edge of Potter Valley). It was fermented in stainless steel and aged on its lees (wasted yeast) before bottling. Aroma: Meyer lemon, lime, citrus, green apple, melon, peach, fleetingly grassy, zesty. 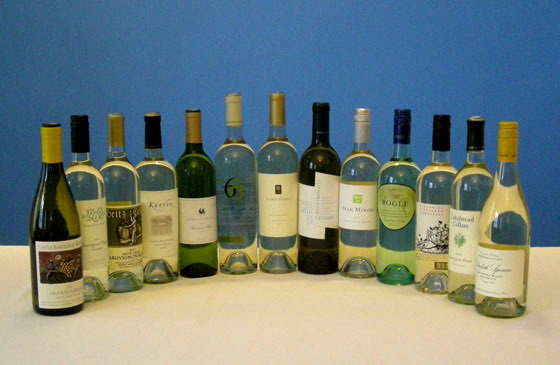 Palate: Green apple, lemon, white peach, peach, melon, citrus, white flowers, fresh green grass, delicate, crisp. Finish: Granny Smith apple, apple pie, twist of lime, touch of wood, tart, zesty, clean, elegant. This wine was made from grapes harvested in the Carneros Region of Napa Valley. Following fermentation – with stirring of the lees (wasted yeast) over 6 months – the wine was aged in a combination of clay amphorae and neutral French oak barrels. Aroma: Grapefruit, lemon/lime, tangerine, passion fruit, melon, herbal, buttery, grassy, minerality. Palate: Melon, juicy melon, kiwi, pear, peach, guava, lemon, lime, lemon zest, elderflower, grass, minerality. Finish: Pear, peach, kiwi, orange, citrus notes, lemon/lime pith, vanilla, smooth, soft, refreshing, elegant, perfect for the beach. Grapes (85% Musque Clone) from the eastern side of Santa Ynez Valley were pressed with 20% of the juice barrel fermented in neutral oak puncheons and the remainder in stainless steel. Aroma: Fresh white peach, peach, mango, tropical fruit, gooseberry, honeydew, orange, lemon, lime pith, grass, aromatic. Palate: Green apple, Golden Delicious apple, white grapefruit, lemon, lime, citrus, white peach, white flowers, crisp. Finish: Green apple, lime, lemon, light grapefruit, green bell pepper, grassy, elegant. Grapes for this wine (100% Sauvignon Blanc) were grown on Michael’s Vineyard noted for gently sloping hills and a complex mix of soils. Following fermentation in stainless steel tanks at low temperatures, the wine was kept on its lees (wasted yeast) and stirred once a month, with 3% barrel-aged. Aroma: Green apple, crisp apple, Golden Delicious apple, peach, tangerine, lemon, lemon zest, citrus, crisp. Palate: White peach, pineapple, mango, baked apple, pear, green apple, grassy, balanced, soft, fresh. Finish: Apple, light pear, touch of wood, smooth, easy drinking.